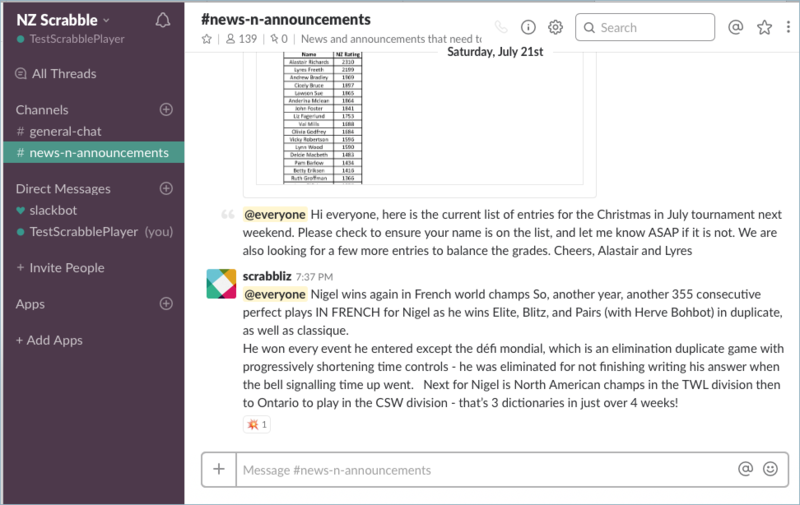 Slack is an online platform for NZ Scrabble players to keep each other informed. We post tournament entry forms and results, ratings updates, items of national and international news, and hints and tips to improve our games. You can also message other players privately. 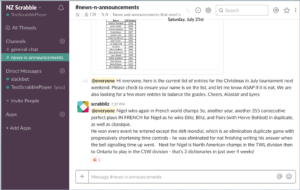 Learn how to get set up on Slack, and some of the things you can do. If you want to know more, check out Slack’s excellent Help Centre.